Alice's Adventures in Wonderland. is an 1865 novel written by English author Charles Lutwidge Dodgson under the pseudonym Lewis Carroll. Alice the protagonist must find his way through this strange place called " Wonderland " .She is a girl of 7 years while sitting with her sisters sleep and enter this world by falling down a rabbit hole . She follows the White Rabbit, which leads in many adventures through the book. 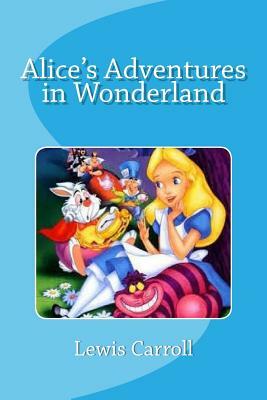 Lewis Carroll 's book " Alice in Wonderland ' is full of fantasy characters, each adding a little humor and dimension to the story.When Alice falls down the rabbit hole is several talking animals and Queen.Alice unusual is the protagonist of the story, a girl who goes on an adventure in Wonderland. the first character is the white rabbit knows that reappears throughout the book and acts as guide Alice, it's fun because he does not even seem to know what time it is. The book is very complex and has much symbolism conveyed through the characters and the environment. He intricately weaves a story using these characters and many more landlord to tell their story . His aim was to give a lesson to the children about growing up in an entertaining way. Each character Alice teaches something about life and grow in a dangerous world.